The standalone tablet is all but dead. 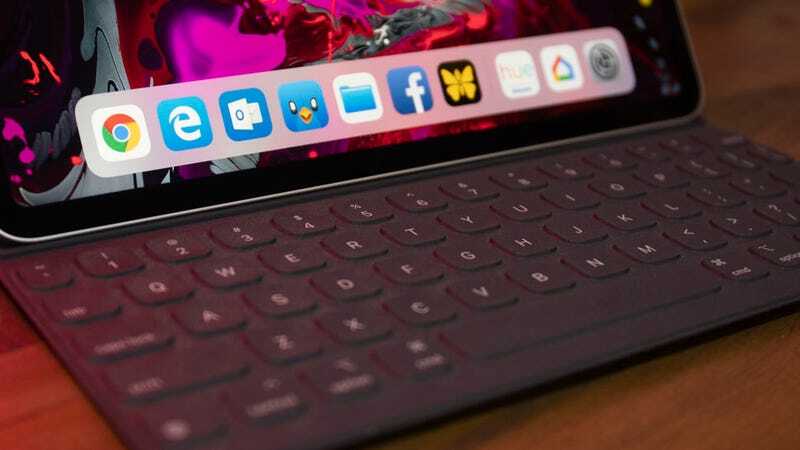 It’s been supplanted by 2-in-1s like the Surface Pro, which promises the excellent content consumption powers of a tablet, crossed with the actual productivity of a real laptop. 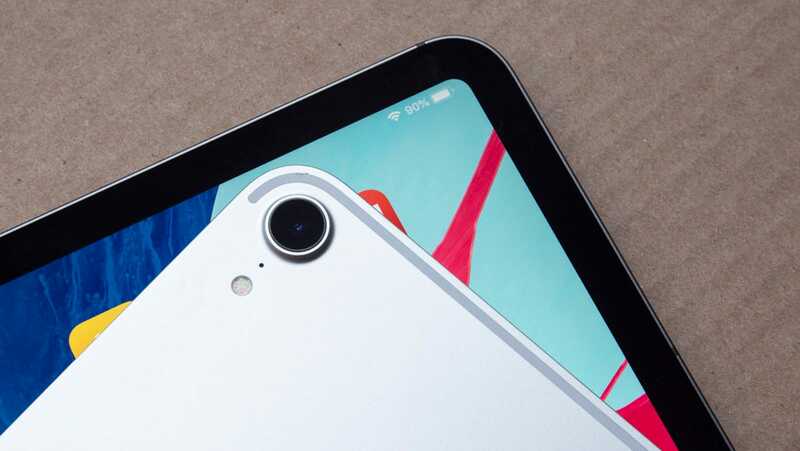 Still, Apple has defiantly continued to make a tablet – both the budget iPad that was refreshed in March, and the more productivity-friendly iPad Pro that was just released. The budget iPad is nice, but thanks to a few tricks, like Apple Pencil support, USB-C, and a great-looking display that can chew through any content thrown at it, the iPad Pro is better. This is the last great tablet. WHAT IS IT? Apple's more productivity focused iPad. PRICE: Starts at £769 for 11-inch; £969 for 12.9-inch. LIKE: Great battery life, beautiful display. DISLIKE: The Smart Keyboard is really, really bad. More on that CPU in a second. 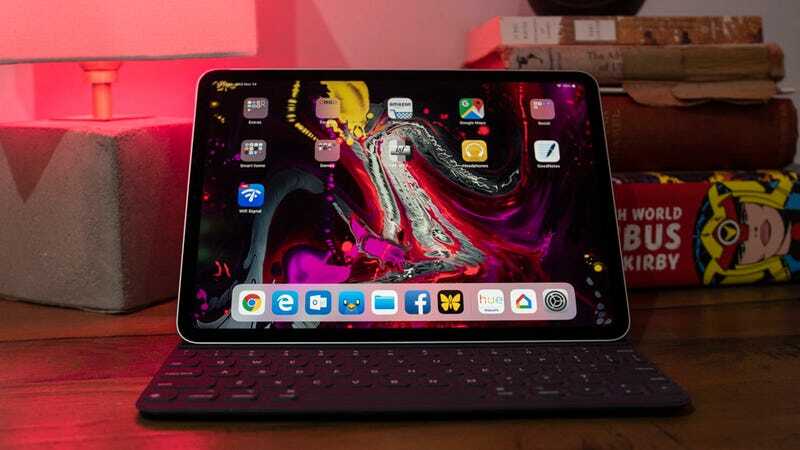 Let’s talk about the look of the iPad Pro first, because this iPad feels less like a natural successor to the previous Pro and more like a successor to tablets and 2-in-1s produced by Apple’s competitors. The lines are sleek, but with none of the gentle curves you expect from an iPad, there are no swooping edges. Instead, it’s all hard edges that will remind you more of a Surface device. It makes it feel more like a business product – something for working in an office – even if it isn’t very good for getting business done. The only curves left are the around the bezel, which is thinner than on iPads. Instead of meeting the bezel at sharp points, the edges of the display and bezel share a nice curve that makes the display feel much larger and more open. Before spending time with the iPad Pro I was worried the slimmer bezel would be too small, and that resting my fingers on display would result in accidental touches. But that isn’t the case. The iPad Pro seems to intuitively know when my thumb on the display is there because I’m holding the iPad and when it’s there because I’m trying to pinch and zoom. Both have a 12MP camera on the back. They also both have a smart connector on the back to attach to the keyboard. On the 11-inch version, I can easily go 12 hours or more playing Stardew Valley, browsing on Chrome and Safari, and keeping up with people in Messages and Slack. Charging is easy too, as I can just reach for the USB-C charger I use with my laptop and get the tablet from 10-percent to a hundred in 30 to 40 minutes. Meanwhile, when we battery tested the 12.9-inch version, with its much larger display, it lasted t 12 hours and 37 minutes of constant YouTube streaming. That’s only a little more than an hour less than the Samsung Galaxy Book 2 with its Qualcomm CPU, and far better than any laptop or 2-in-1 with an Intel chip, running Windows or macOS. A lot of that has to do with the A12X CPU Apple has designed for the iPad Pro. Like its sibling in the iPhone XS and XR, the A12X is quite fast, so it can get through battery-draining processes and return to idle faster, thus draining the battery less frequently. But it’s currently quite difficult to test Apple’s claims of the A12X being as fast as the CPUs found in productivity machines like the new MacBook Air or a Surface Pro. You can’t test CPU-intensive applications like Blender, Adobe Premiere, or Handbrake because the iPad Pro runs on iOS and those applications aren’t available. 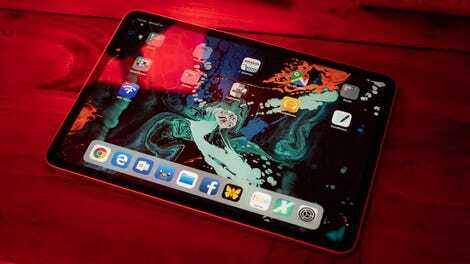 The iPad is fast – but functionally, in most iPad tasks like gaming and comic book reading and watching movies, it doesn’t feel that much faster than my two-year-old first-gen iPad Pro. The only place I really notice an improvement – performance wise – is in the wifi. It has a stronger signal in parts of the apartment where my old iPad Pro struggles to stay connected, and when skipping around a movie on Plex it skips to where I want much, much faster, speaking with my Plex server like it’s plugged right in rather than a whole floor away. To get a true sense of its speed you need something a little more reproducible than scrubbing video in Plex, and with an iOS device like the iPad Pro, you’re stuck with synthetic benchmarks, which can give you a decent idea of comparative performance but are by no means definitive. Synthetic benchmarks like WebXPRT 2015 and Geekbench 4 can be “gamed” by processors, churning out results that won’t necessarily be matched in real-world usage. And in benchmarks, the iPad Pro it performed confusingly. In Geekbench it has a multicore score of 18,039 which is similar to what we see from the 8th-gen 6-core Intel i7-8750H found in the powerful Razer Blade gaming laptop. That’s an incredibly fast laptop – one of the fastest we’ve tested this year! Yet in WebXPRT 2015 the iPad Pro managed a score of 381, which is well below the Razer Blade’s 492, and far below the 531 managed by Apple’s latest MacBook Pro. In fact, 381 is around the score of the Yoga Book c930 from Lenovo, a funky 2-in-1 with an eInk display and a dual-core Intel i5-7Y54 CPU. 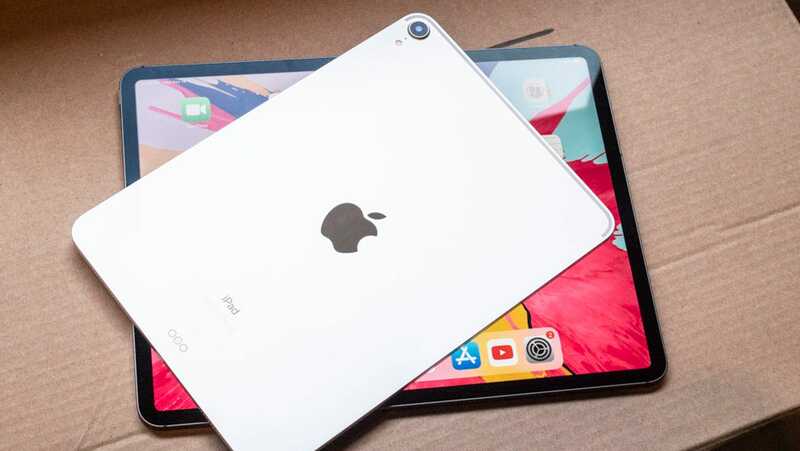 Benchmarking is an exercise in frustration because when I attempt to benchmark the iPad I am reminded that it is an excellent tablet, but that Apple doesn’t actually want it to be a tablet. It wants it to be a 2-in-1. Remember the distinction is the 2-in-1 lets you do work. The tablet lets you watch movies and play games. With its promise of laptop-like performance, Apple is positioning the iPad Pro as a productivity machine. It’s made other design tweaks in an effort to create that device too. It moved the smart connector to the back of the device, so the keyboard case snaps on as a full book-like cover that requires zero origami skills to use. This redesigned cover should ostensibly make work easier. It does make it easier to use on your lap. 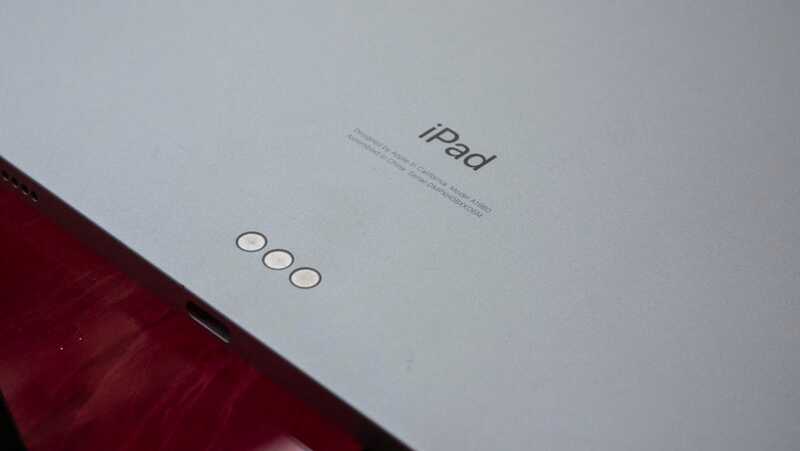 Unfortunately, the iPad’s keyboard case is maybe one of the worst made by a computer company today. It’s about two steps above the original Surface keyboard. There are buttons and they make a nice satisfying little plop when you hit them, but they’re spaced oddly, which makes typing difficult, and the space bar is far too shallow which leads to frequent typos as words blend together. For a device as carefully designed as the iPad Pro, the horrible Smart Keyboard stands out as a shameless money grab with no real thoughtfulness behind it. Especially when you consider that it costs £179 for the 11-inch version and £199 for the 12.9-inch version. This thing is so bad compared to every other keyboard case on the market that Apple should genuinely feel ashamed of it. It’s borderline offensive in how awful it is. It’s a big reason why the iPad Pro is a tablet and not a 2-in-1. Another reason is the software. I’ll begin by saying iOS is much more friendly for productivity than it used to be. Splitting the screen so I can have Slack up while I write this review is handy and brings iOS closer to Windows 10 and ChromeOS. But without a mouse input, it’s hard to whip around the OS as quickly as I do on those operating systems. Moving the cursor as I write up this review is a chore, my finger blindly stabbing in the region where I’d like the cursor to be and hoping it gets anywhere close so I can use the arrow keys on the Smart Keyboard to make it the rest of the way. The £119 Apple Pencil should make that easier. The new iPad was designed with the Pencil in mind and there’s a nice spot on the side of the iPad Pro where the Pencil magnetically attaches when not in use (it charges at the same time). Yet, again, it’s £119. £119 plus a minimum £179 for a keyboard means you’re spending £300 to get the iPad Pro to approximate the same functions as a much more productive device. Which is why I think it is wildly misguided to consider the iPad a productivity device. It isn’t a laptop or a 2-in-1. It’s a tablet. It can last a full flight across the Atlantic and miserable waits at airports on both sides and keep you entertained the whole time with ebooks, videos, and the best mobile game selection available. 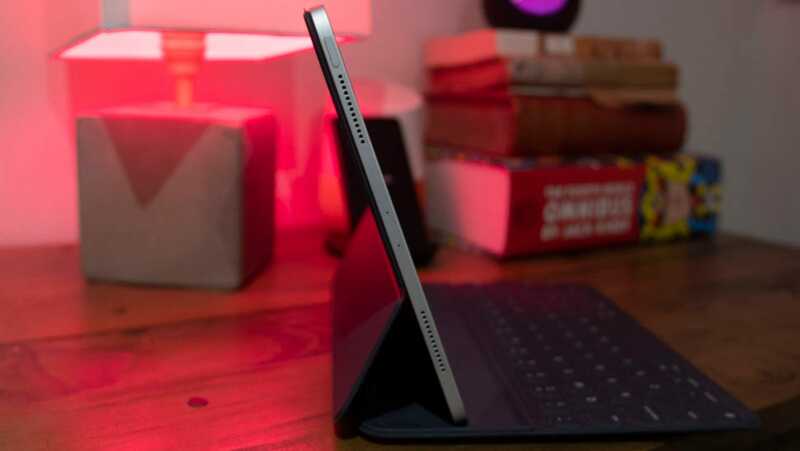 With USB-C it charges easily using the same charger as your other devices, and while the lack of an audio jack is irritating, the iPad Pro has robust speakers and pairs quickly with wireless headphones. This is a machine built to make consuming content easy, and it does it with perfect aplomb. If you already own a good computer and are itching for a second one, this is the machine for you. 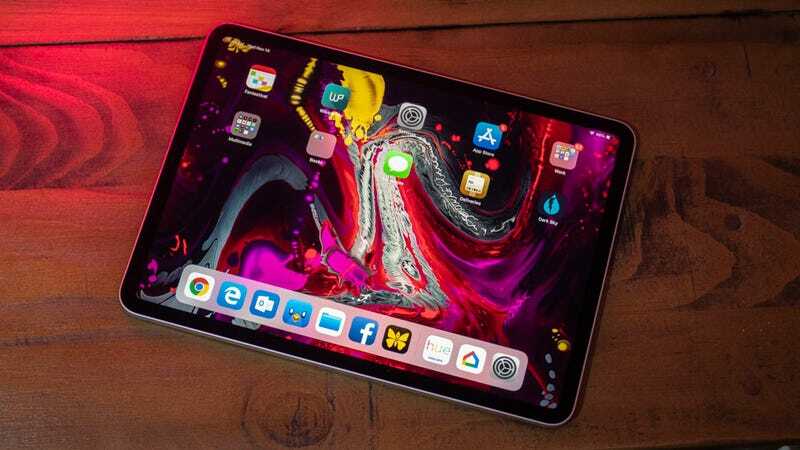 If you have the first-generation iPad Pro and want something with better connectivity and a bigger screen, this is a solid upgrade you won’t regret. If you’re looking for a primary device look elsewhere. This machine won’t get your work done, but it’s a helluva lot of fun to play on. The battery life is fantastic. It SEEMS fast. The wifi is significantly better than on previous iPad Pros. iOS keeps it from being better for productivity. But the expensive and terrible Smart Keyboard Folio is the real culprit.